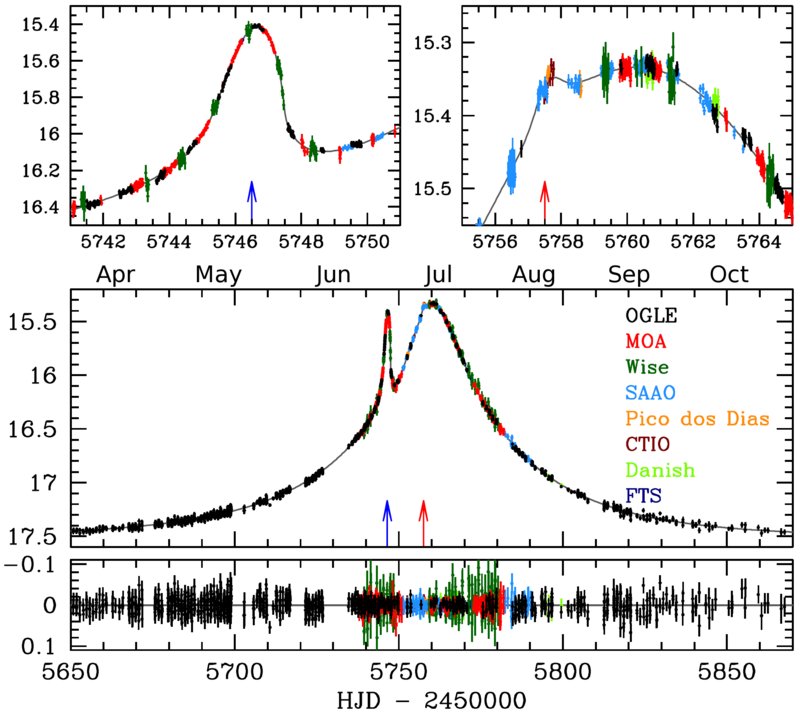 We report the discovery of a Jupiter-mass planet orbiting an M-dwarf star that gave rise to the microlensing event OGLE-2011-BLG-0265. Such a system is very rare among known planetary systems and thus the discovery is important for theoretical studies of planetary formation and evolution. 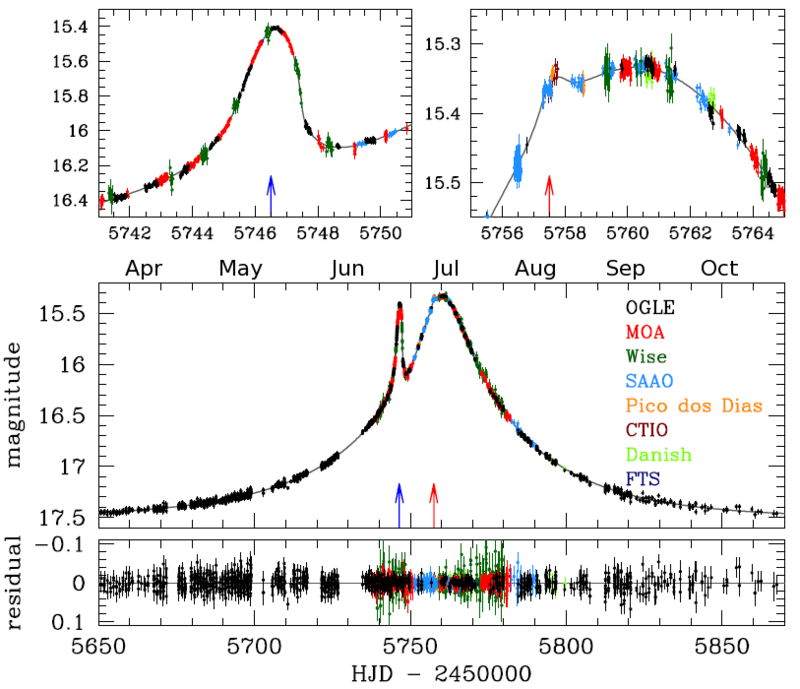 High-cadence temporal coverage of the planetary signal combined with extended observations throughout the event allows us to accurately model the observed light curve. 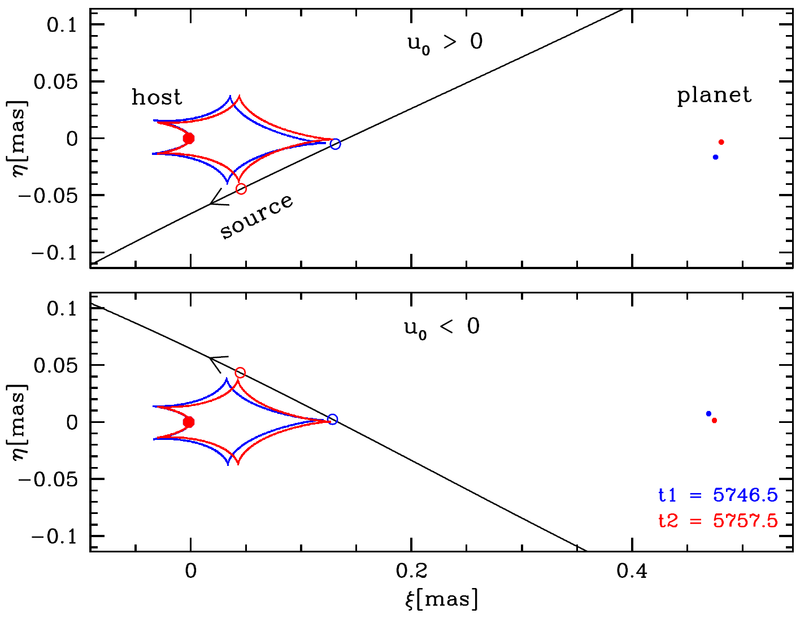 The final microlensing solution remains, however, degenerate yielding two possible configurations of the planet and the host star. In the case of the preferred solution, the mass of the planet is Mp = 0.9 ± 0.3 MJ, and the planet is orbiting a star with a mass M = 0.22 ± 0.06 M☉. 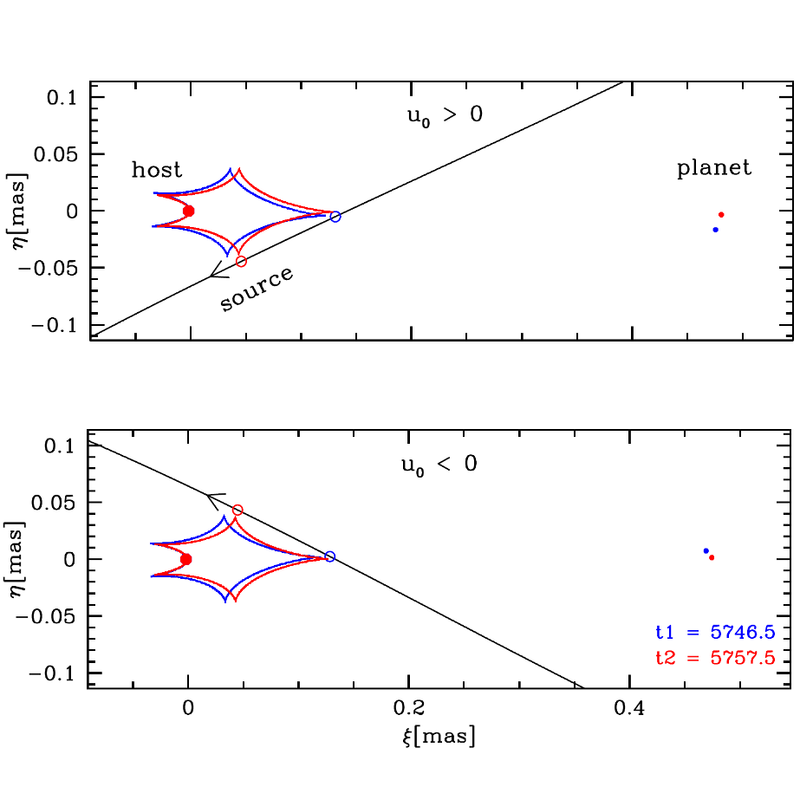 The second possible configuration (2σ away) consists of a planet with Mp = 0.6 ± 0.3 MJ and host star with M = 0.14 ± 0.06 M☉. The system is located in the Galactic disk 3–4 kpc towards the Galactic bulge. In both cases, with an orbit size of 1.5–2.0 AU, the planet is a "cold Jupiter" – located well beyond the "snow line" of the host star. 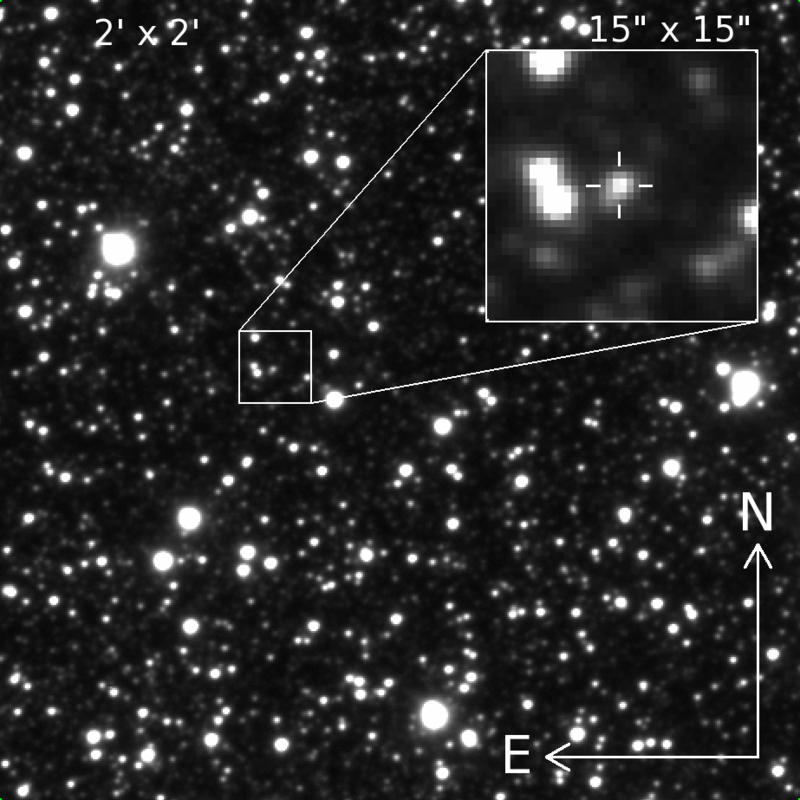 Currently available data make the secure selection of the correct solution difficult, but there are prospects for lifting the degeneracy with additional follow-up observations in the future, when the lens and source star separate. Any comments about the data and the form of their presentation are welcome as they can improve the future releases of OGLE analysis. Send your messages to jsko...@astrouw.edu.pl.